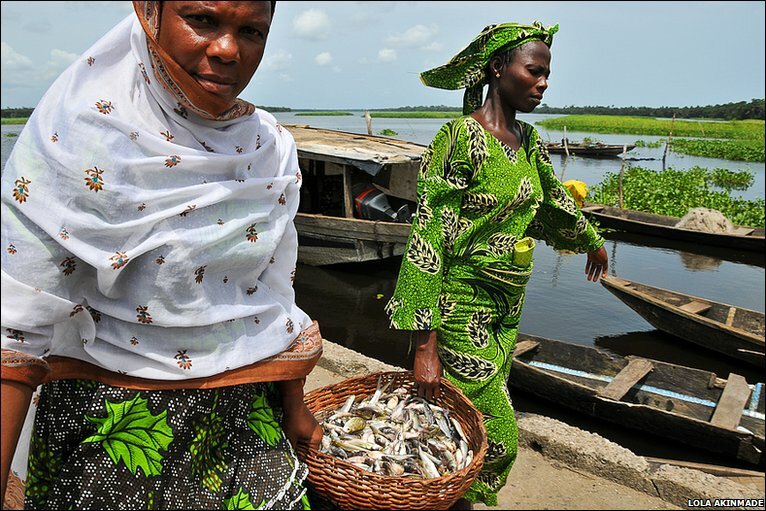 Lekki Jetty is a tiny yet vibrant fishing village near Nigeria's coastal city, Lagos. 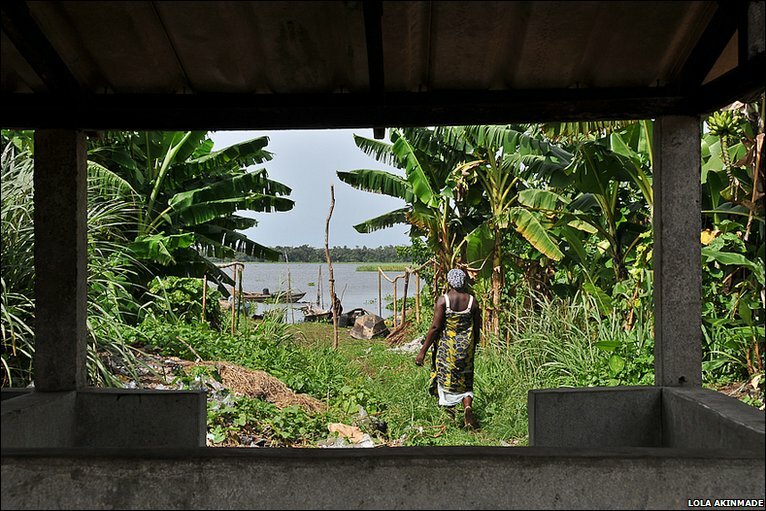 And here, along the edge of the lagoon on the Lekki peninsular, the suppliers, wholesalers and customers all operate in close quarters. 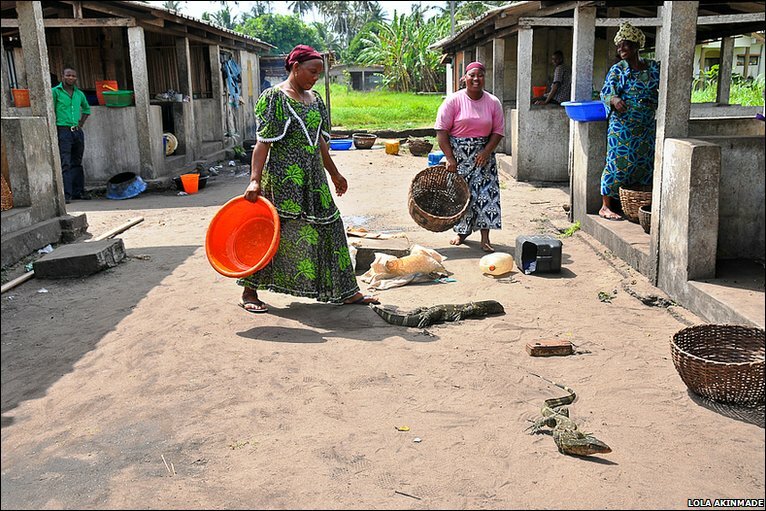 Women remain the key wholesalers - fishmongers - while the catching is left to the men. 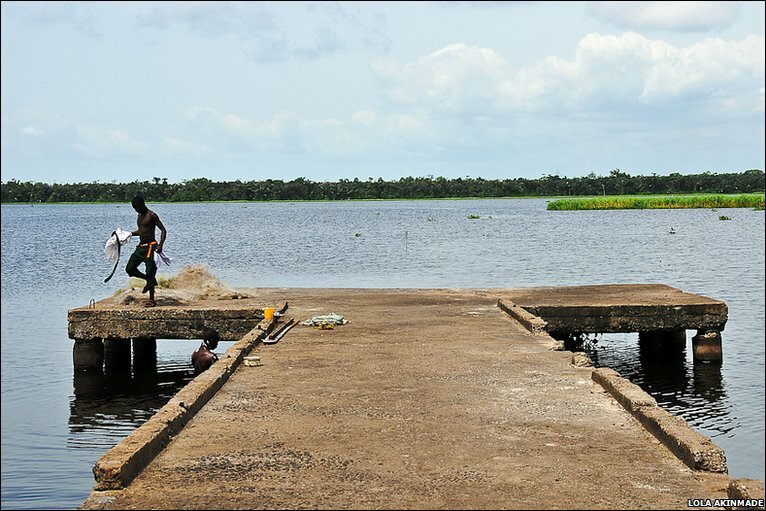 At the concrete pier, fishermen take their daily bath in the lagoon after an early morning round of fishing. 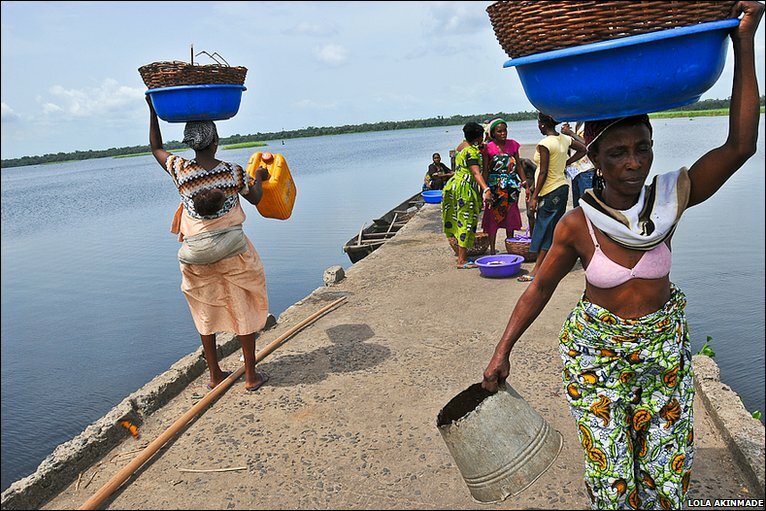 The pier is the negotiating floor where women buy the fish directly from the fisherman as well as barter among themselves before reaching the customers, who stand in wait at the end of the jetty. Ade caps says he fishes every day. 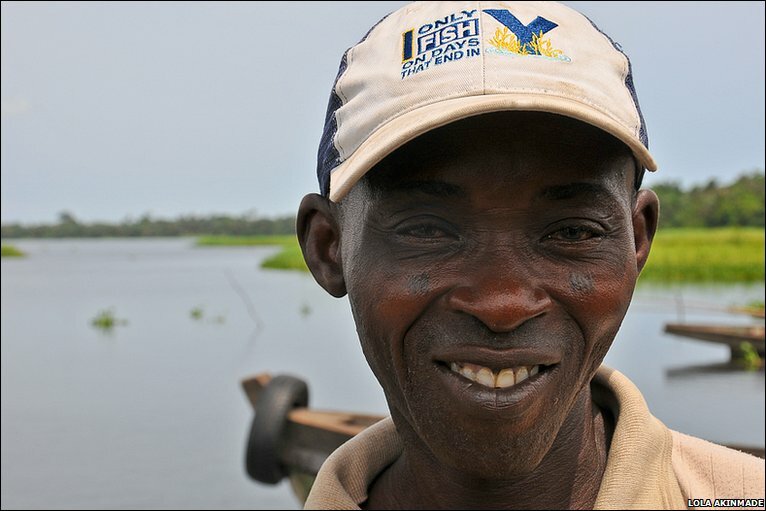 He is a local Lekki fisherman who had already come in with the early morning catch and was relaxing before heading out again later in the day. 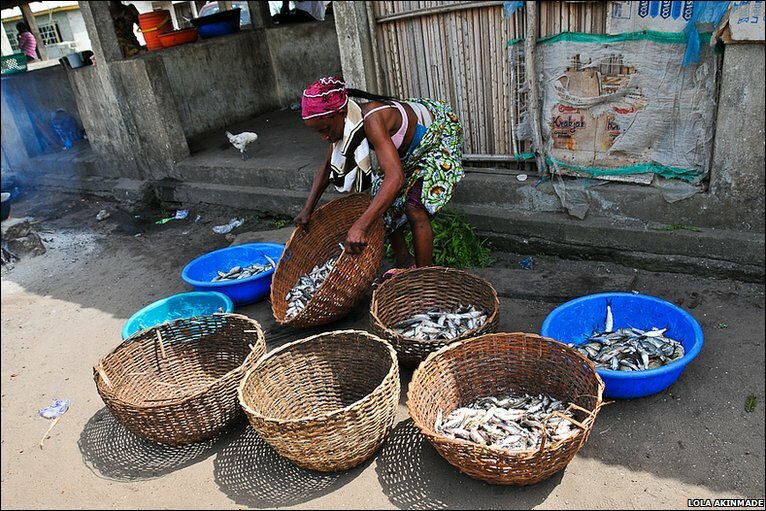 Once the women secure baskets of fish, they sort them in order of size and type before pitching the fish to waiting customers. 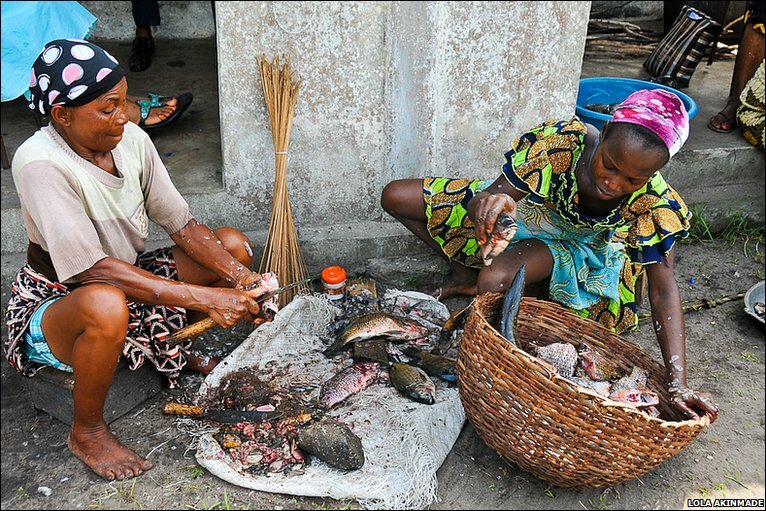 Two women scrape and clean a basket of fish that has been purchased by a customer, who is sitting in the shade behind them. 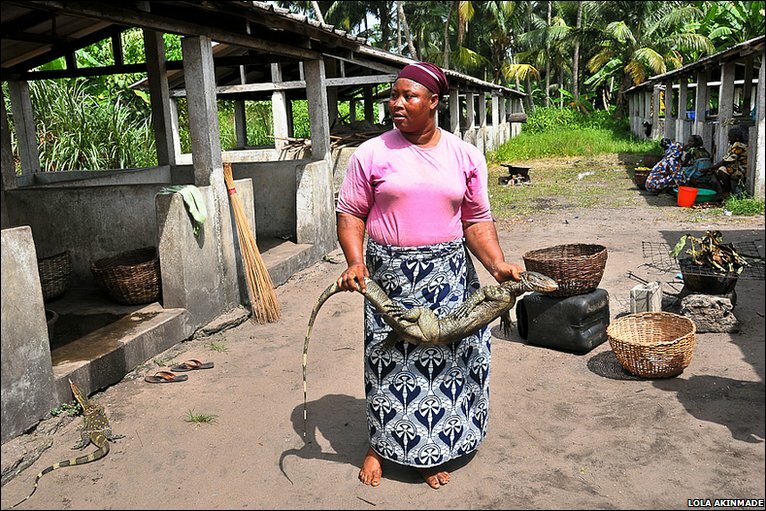 Here, the women play with two Nile monitor lizards they had caught in the forest that morning to entertain themselves. African Nile monitors can grow as long as nine feet (2.7m), and are extremely muscular with long sharp claws and equally sharp teeth. 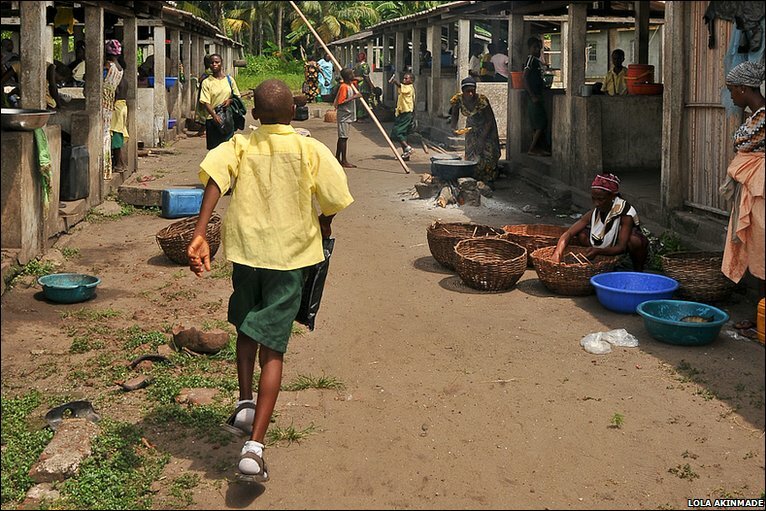 Children belonging to some of the villagers return home from school, adding to the cacophony of noises at the jetty.